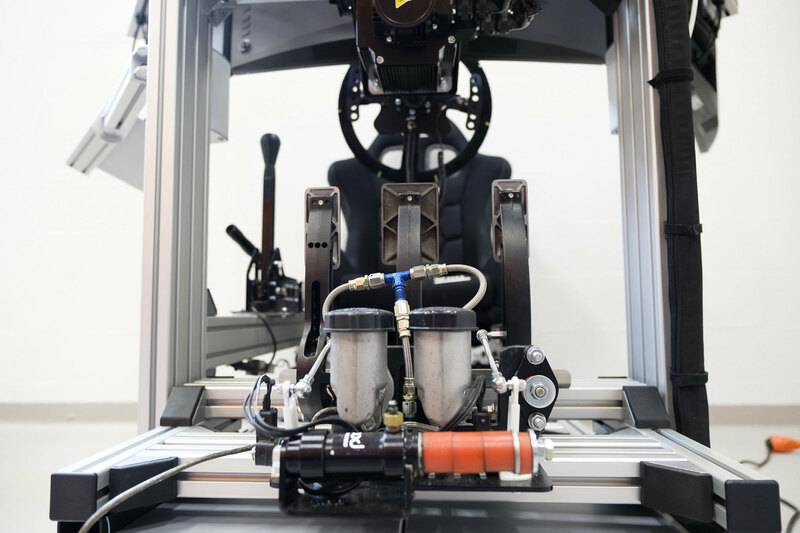 Flo Pernon aka FLOEB reviews the SIMTAG Hydraulic Pedal System. The Belgium-based SIMTAG SPRL company introduces the new SIMTAG Hydro pedals. SIMTAG was founded by Jean-Luc De Krahe and Professional (WTCC) racing driver Norbert Michelisz. The company has its headquarters in the Belgian Ardennes, smack in the middle of the world-famous Circuit de Spa-Francorchamps. 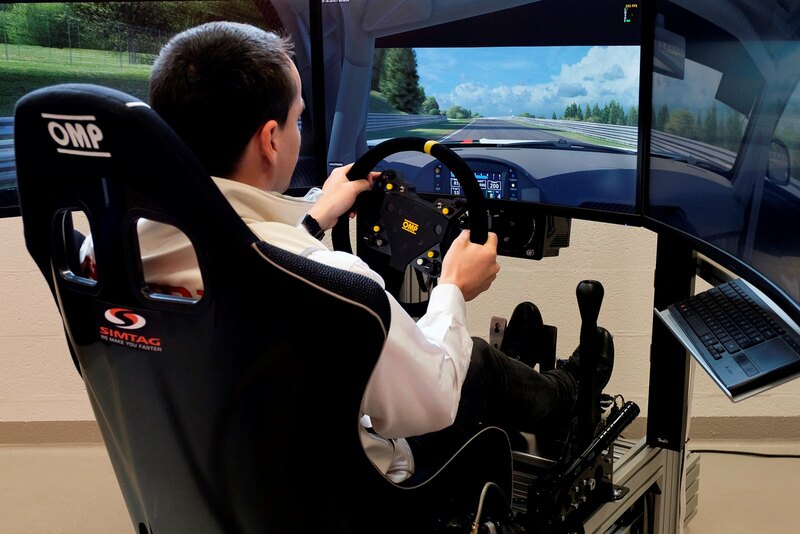 Simtag strives to deliver high-quality sim racing products by incorporating real racing components and professional grade materials into their racing simulator builds, making it the perfect choice for racing teams, drivers, instructors and sim racing enthusiasts. 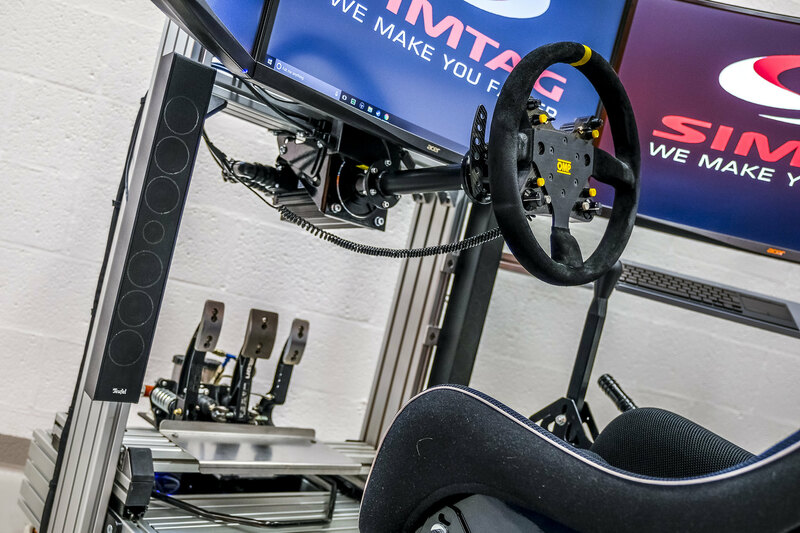 Besides turnkey “ready to go” simulator systems, SIMTAG also retails a selection of sim racing peripherals such as the Hydro Pedal set and Hydraulic Handbrake. 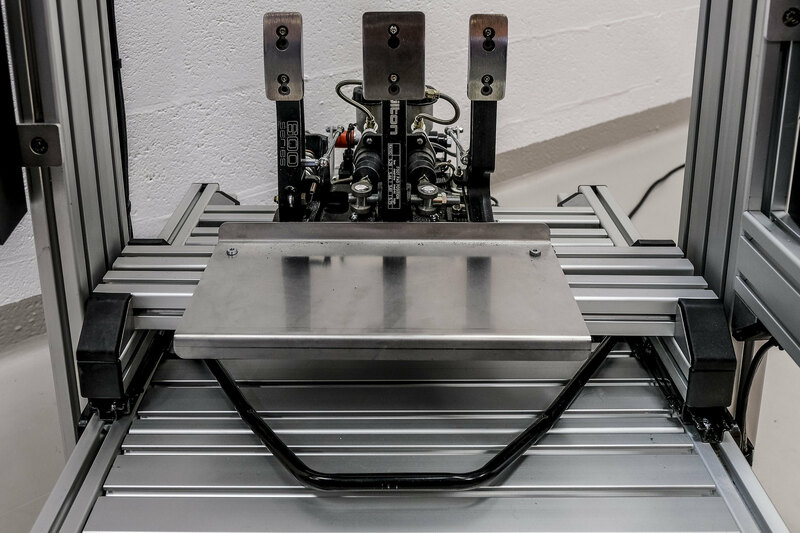 In order to deliver an authentic and top performing sim racing pedal set, SIMTAG decided to modify the real-world Tilton 600 forged aluminum 3-pedal floor mounted racing pedals. 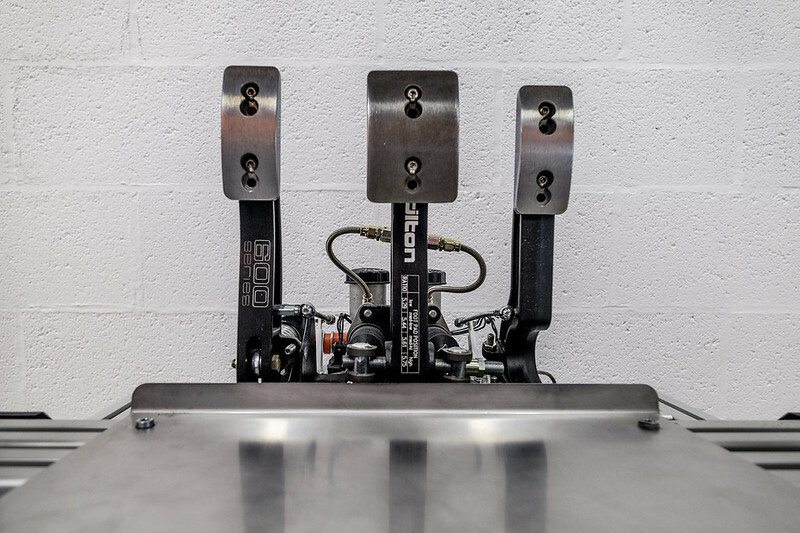 The Tilton 600 is the most widely used racing pedal box in the motorsport world. The SIMTAG Hydro Pedals feature an adjustable pedal ratio (5.29:1, 5.44:1, 5.61:1, 5.75:1). The foot pads are also fully adjustable (both vertical & horizontal) and are fitted with quality anti-slip pads. The pedal electronics feature Bosch professional grade Throttle position sensors and a Bosch Brake pressure sensor. 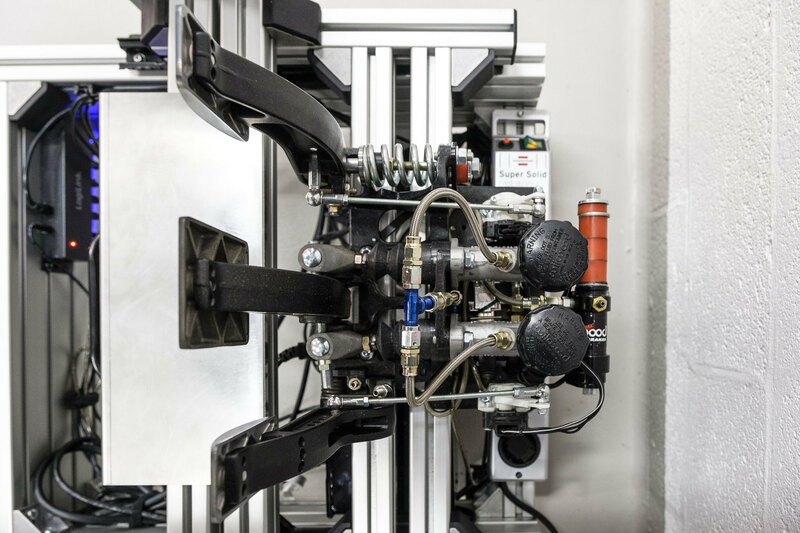 All the cables are fitted using rugged and reliable Cosworth dust proof connectors. The pedals are connected to the PC system by use of a simple single USB connector. The SIMTAG Hydraulic Pedal System is on sale for €1890 plus shipping. For more info, contact SIMTAG here. 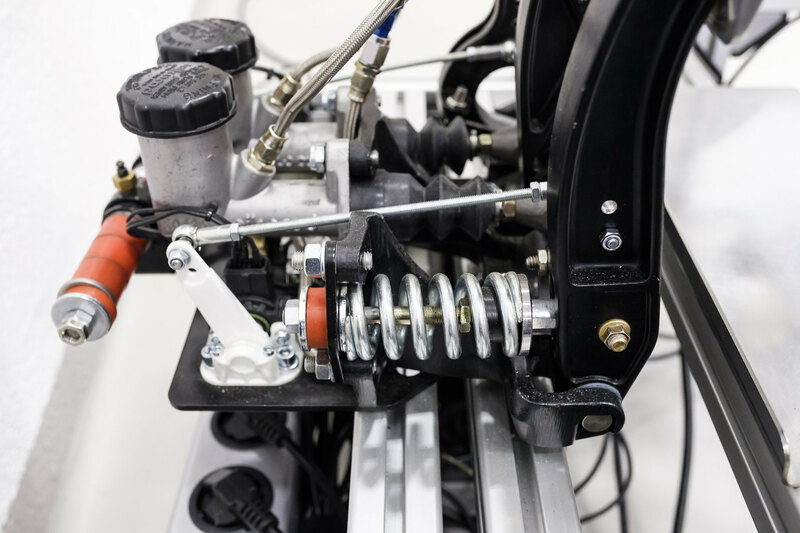 Hydraulic brake pedal with an adjustable pedal ratio (5.29:1, 5.44:1, 5.61:1, 5.75:1) enables the brake pedal to be tuned to driver preference. Cosworth dust and moisture proof connectors for maximum reliability. Large diameter 7/16″ diameter balance bar minimizes flex to provide a solid pedal feel/response.